By film 3, Wrath of Daimajin, the Daimajin formula was pretty well established. Evil Lord oppresses the good people, someone appeals to the god, and then Daimajin establishes some brutal social justice. But as with all monster series, he get a f ew new powers as the series goes on. In the first five minutes of Wrath of Daimajin, Daimajin is shown to be a god of weather, causing terrible cold, flood, drought, and avalanches. The miniatures work is excellent. In each film, he has become further removed from humanity. Apparently seeking peace, he has now retreated to a mountain, and the villagers know that Daimajin's Mountain is a dangerous place. After demonstrations of Daimajin's power, the film introduces us to a village, and the protagonists. They are children. I was wary at first, since the child actors in Daiei's Gamera franchise are annoying at best. Luckily, these are not the obnioxious, laboriously mischievous kids who share the screen with Gamera. This is a fairly serious journey film, as the children walk over Maijin's Mountain in order to help rescue ther fathers, who have been kidnapped by the Evil Lord who is making them build a fortress. The journey takes them across all sorts of landscape. Thickly forested slopes, a rocky defile with a waterfall, and a rocky mountain top. It's a rather attractive travelogue, frought with the usual attendant dangers that keep the tension up. Daimajin has a touch more agency in this film; a hawk is said to be Maijin's messenger. When the children are confronted with the statue of Daimajin, they pay it proper respect, and the god does not become angry. While the film has some lovely scenery, it is a bit devoid of emotional resonance. Kinta, one of the four kids who set out on the journey, drowns after their raft is wrecked in the rapids. He is never mentioned again. Daimajin rouses himself when the leader of the kids party throws himself off a cliff, as a sacrifice to the god. Once again, the fortress comes down around the Evil Lord's ears, but this time, it's in the snow. The scenes of Daimajin smashing the fortress of the evil lord are great. There's surprisingly little human resistance, which makes sense from a filmic perspective. Layering human actors in front of the miniatures work is expensive. There are a few innovations. For the first time, we see Daimajin unsheath his sword. He's had this sword for all three films, and this is the first time we see it come into play. He throws it to create an avalanche that destroys a pile of samurai. In addition, earlier in the film, a worker names Shiohachi tries to escape, and as punishment, is thrown into the boiling sulfur spring. When Daimajin puts out the stone boot of justice, he once again deploys the sword, stabbing the lord, who then tumbles into the very same boiling sulfur spring. But there is a further dimension to Daimajin in his third iteration. He towers over the evil lord and his henchmen in the same way that an adult towers over the children. So there is a parallel of Daimajin schooling the adults from the same position of power that the adults would school the children. And when Daimajin's vengeans is slaked, the snow stops, the he dissolves into snow. He is no longer the threat to the villagers, as he was in the first film. Daimajin is more like a bloodthirsty Santa Claus, determining who is naughty and who is nice. The good get left alone. The naughty get the sword. As I said in my review of the first Daimajin film, these films straddle an uncomfortable line. There's not enough samurai action for samurai films, and there's reallty not enough giant statue smashing action for us giant monster film buffs. In addition, I would say it would be best not to watch them too closely together. They recycle a lot of elements; there is always an evil lord who is being mean to the people who venerate the Daimajin, and Daimajin kills him in the same way he killed, or attempted to kill, someone. Next week, a film I haven't seen. A lost giant monster film from an unusual production location. The Return of Daimajin is the sequel to Daimajin, the second of three films released by Daiei in 1966. In keeping with the middle film always being the darkest, The Return of Daimajin starts with a peasant massacre. Serfs attempting to leave the land of Lord Mikoshiba are caught and cut down. This sets the tone for the rest of the film. Lord Mikoshiba is an evil lord, oppressing his serfs, plotting to conquer the other prosperous, happier kingdoms surrounding his. Daimajin is no longer at the top of a waterfall, but now in in an island. I can't tell if this is supposed to tbe the same statue/spirit. It looks the same, but it has been on the island long enough that there is a legend concerning it. If the statue's face ever turns red, the kingdom will fall. Of course, early in the film, his face turns red. Lord Mikoshiba is a scoundrel with an evil laugh in the same way that Lord Odate from the original Daimajin was. He takes over the surrounding locations with little difficulty, because he is ruthless. And while the peaceful lord warns of the vengeance of Daimajin, Daimajin is slow to fury. A lot of unpleasant things happen before he rouses himself. He doesn't even get angry when the evil lord sets black powder at his feet, tumbling the statue's head into the ocean. I understand that this makes the evil lord more evil, but Daimajin's long delay before getting to work makes him look either apathetic or weak. After the statue is destroyed, lightning strikes and the water boils red, but the show stops short of doing harm. In the last film, the beginning of Daimajin's rage was when they they drove a spike into his statue. This time, they destroy him, and he still doesn't take much action. Moer than in the previous film, we are rpesented with Christian imagery. Lady Sayuri is crucified and the straw below her lit in fire because one way of dying just isn't enough for evil Lord Mikoshiba. Only when her tears fall does Daimajin rouse himself, with eighteen minutes left in the film. He parts the waters of the lake, again harking back to The Ten Commandments. There's a little more complexity to the plot, compared to the previous Daimajin, and it's riddled with samurai film melodrama and cliche. 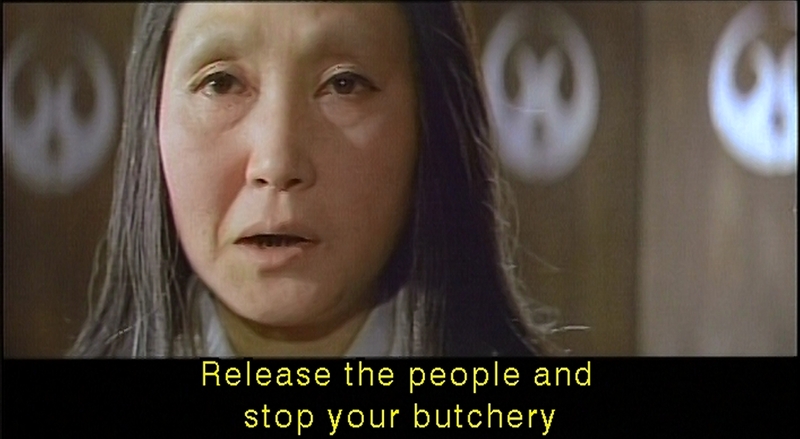 In one innovation, Lord Mikoshiba, after watchng bullets bounce off the stone statue, threatens one of his prisoners. Daimajin solves this by commanding the wind, which knocks the evil lord off his feet. Mikoshiba also tries laying boxes of black powder before the advancing statue and blowing them up. It doesn't work, either. Daimajin diplays more of his poetic irony. Evil Lord Mikoshiba tries to get away in a boat, but Daimajin sets it on fire. Mikoshiba ends up tangled cruciform in the rigging, of a burning boat, echoing the burning crucifiction he tried to inflict on Lady Sayuri. Once this is done, Daimajin is satisfied. The Lady weeps another tear, and Daimajin returns to his statue form, then dissolves into water. The Return of Daimajin breaks little new ground. The script has the same outline as the previous film. Evil lord takes over the land of the good people who propriated Daimajin. the people are abused, and the tear of a pure woman awakens the statue to wreak vengeance on the bad people. The first Damiajin, directed by Kimiyoshi Yasuda, was more interested in the creature. Daimajin was dynamic, nowhere more so than when he shifted his attention. The turn of the suit actor's head indicated that the devastating statue was moving in a different direction, and that a new group of samurai was about to be wrecked. In Return of Daimajin, Daimajin just marches toward the camera. So I find it less satisfying, especially since the god allows the abuse and cruelty to go on so much longer. Next week, the last of the Daimajin trilogy. It is terribly jarring to go from Daimajin to Pacific Rim. 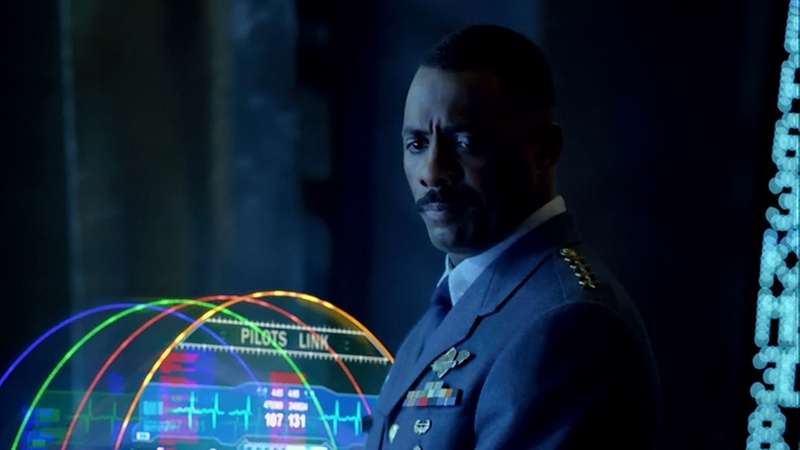 Pacific Rim, made some forty-five years later, assumes a greater complexity and sophistication of the film audience. The details are far more rich, and this is only partially because of the massive amount of money spend on Pacific Rim. I probably shouldn't start dissecting the film until after I've watched all del Toro's commentary and really boned up on the special features, but maybe that'll be another blog post for another day. What is certain is that del Toro knows, and loves, Kaiju films. In the first minute of voiceover, we find that the kaiju of the film are coming from the ocean, just as Godzilla does, as well as the Beast from 20,000 Fathoms, which swims to New York after being awakened in the Arctic. Oceans cover the mjority of the Earth, and they represent a dangerous, changeable, and remote environment. Of course gigantic monsters would come from there. 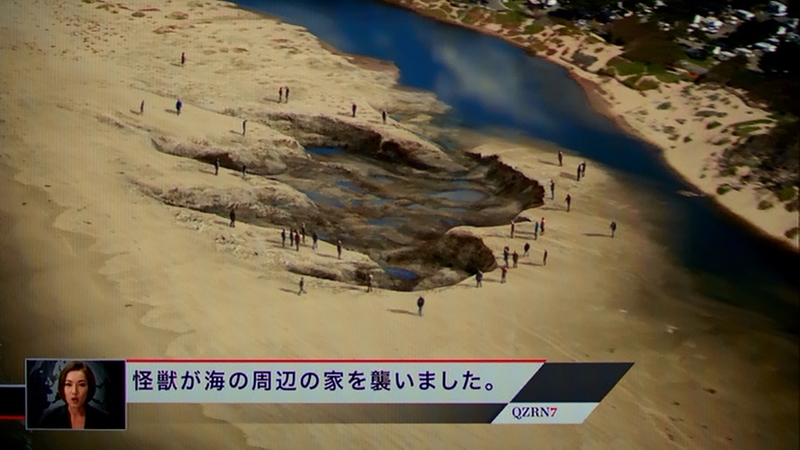 At the end of most Godzilla films, Godzilla goes out to sea, where even he can be undetectable. 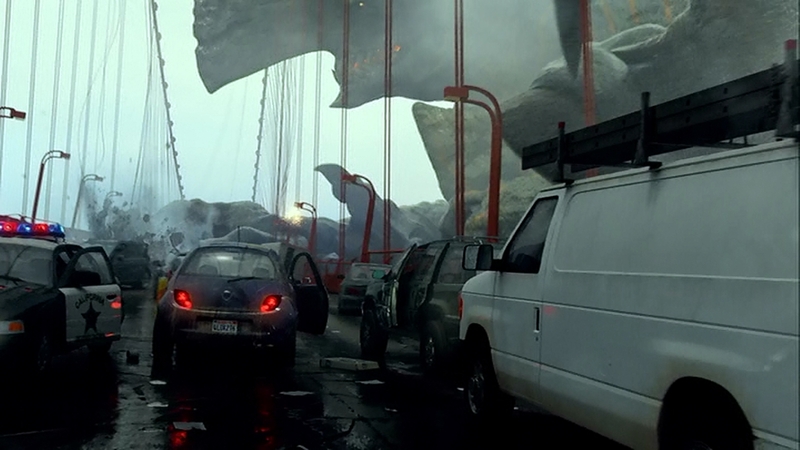 Pacific Rim tells us that a portal opened up in the Pacific, which is the perfect reason that all the countries around the Pacific should band together to fight the kaiju that are randomly attacking cities (I would have liked to see a Chilean Jaeger, but perhaps in the sequel). Del Toro said he didn't want to create a film of homages, that he wanted his kaiju to be unique, but he has close to a hundred years of giant monster films to draw from. Of course he includes a shot of a gigantic footprint. They create scale, and have been part of the genre since King Kong, and the sandy beach reminds us of Godzilla's island departure in the original Godzilla. But referencing is not all Del Toro wants to do. He breaks new ground, showing us enormous piles of toxic kaiju excrement, something we haven't seen in a giant monster film before. This is part of del Toro's desire to make his kaiju more natural, even though they are alien and, like all giant monsters, patently impossible. The jaeger, the creation of giant robots to go toe-to-toe with the giant monsters, draws a lot from Western film tropes. Stacker Pentecost is a Marshal. Pilots are called Rangers. The governments of the world, which did band together to create the Jaeger program, decide it's too expensive and start working on a patently ineffective wall to contain the Kaiju. This may be part of the military is useless trope started by Ishiro Honda, which has slowly eroded in the later Godzilla films. Unlike Mechagodzilla II and III, which are military programs, the Jaeger pilots are more defiant, because their essential quality, Drift Compatibility, doesn't appear to respond well to military discpline. Early in the film, Pentecost is shown in military uniform, but he doesn't reappear in it during the Jaeger Program's last, desperate attempt to stop the kaiju invasion. The Drift is a wonderful piece of plot-devicium, but serves so many purposes that I have to marvel at the efficiency with which the concept is handled. In keeping with the film's theme of unity and togetherness, a single pilot cannot handle the neural load of running a giant robot. So two people must do it, by partially merging their minds. Thus we get Raleigh Becket's trauma, as he was Drifting with his brother when his brother was killed. 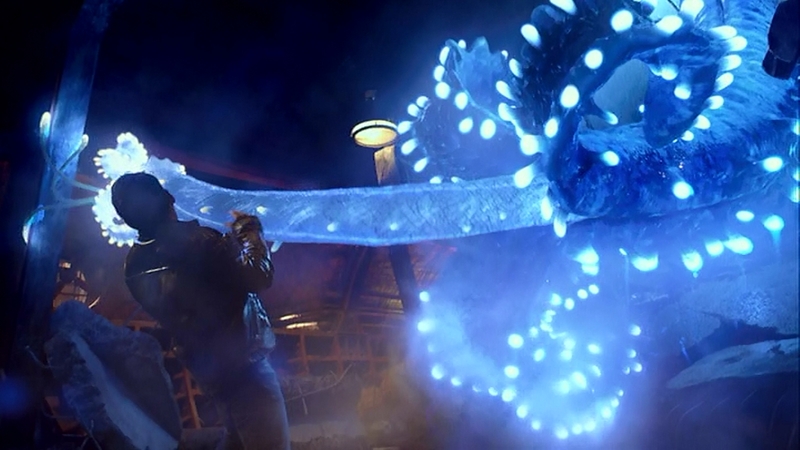 When Mako Mori first drifts with Releigh, she relives her childhood survival of a Kaiju attack, giving us insight into her character, her relationship with Stacker Pentecost, and showing us how pants-shittingly terrifying a kaiju attack is. It also provides us Dr. Geiszler with both risk and background infromation concernig the minds behind that kaiju. Plot point, character development, theme emphasizer, the Drift is a hard-working concept. The first fight we are treated to involves the inevitable fishing boat. As I have said previously, if you live in a kaiju-infested Earth, the fastest way to meet a kaiju will be to be a fisherman. This stems back from the original Godzilla, and the Lucky Dragon 5. 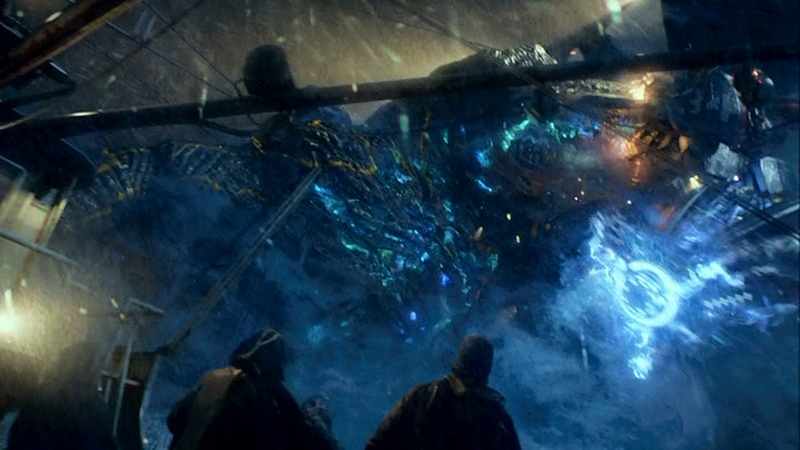 The difference is that Gypsy Danger rescues the boat, because humanity is fighting back against the kaiju. Because the kaiju and the jaegers are CG, the close-in fighting between them has a different tenor then they do with men in suits. Men in suits don't want to be hurt, so they tend to wrestle, shoving, getting grips, and throwing each other. Jaeger vs kaiju combat is about impact, the kaiju slamming into the jaeger, the jaeger using its rocket fist to beat the kaiju to a pulp. I don't advocate one approach over the other. Each has its charms, and each can fail spectarularly. But the approach must be carefully handled. Del Toro seems to be very interested in creating depth in his films, making sure the backgrounds look good, the foregrounds make sense, and conveying a lot of information that doesn't have to be said. 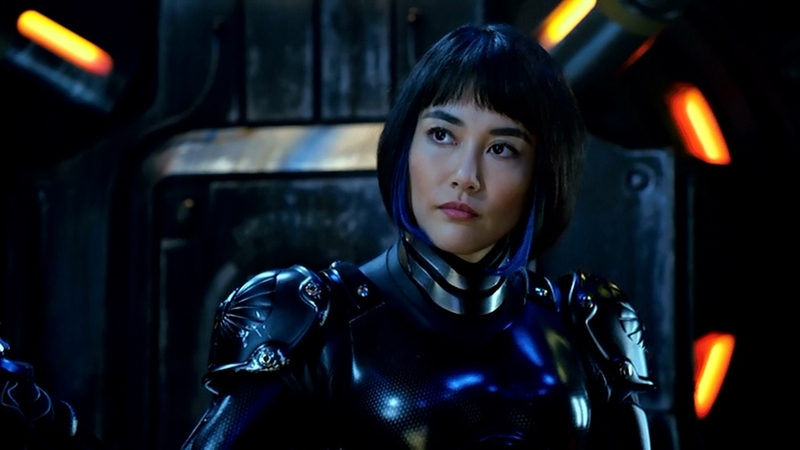 The blue streaks in Mako Mori's hair reflect the blue coat she was wearing during the kaiju attack. It's a telling detail detail in a film filled with telling details, which create depth, and indicate a consistent level of world-building that makes the film work well for me. This is thrown in very sharp relief when I watch something like Zarkorr! The Invader or the Atlantic Rim mockbuster. Also referring to the original Godzilla is the “kill them or study them”t; debate, in this case personified by the very different scientists. In the same way that Dr. Serizawa (who is name-checked) from the original Godzilla is of two minds about what to do about the gigantic creature destroying Tokyo, the two doctors bicker from their different points of view about the best way to defeat the onslaught of kaiju. Given the film's theme of unity and togetherness, it still comes as a pleasant surprise that both of them are right, and that they have to work together in order to solve the full problem. 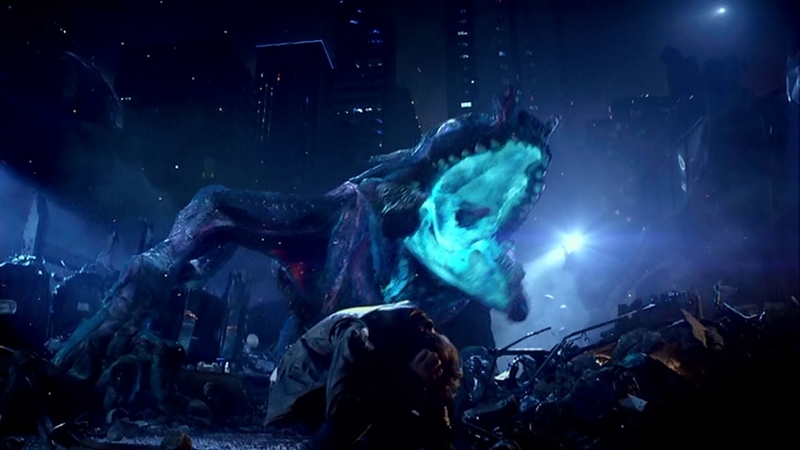 One of Pacific Rim's greatest strengths is that, more than any other film I can think of, with the possible exception of original Godzilla, it captures the terror of having a gigantic monster tearing down a city around you. Mako, in her first Drift experience, relives the terror of Onibaba's attack on Tokyo. 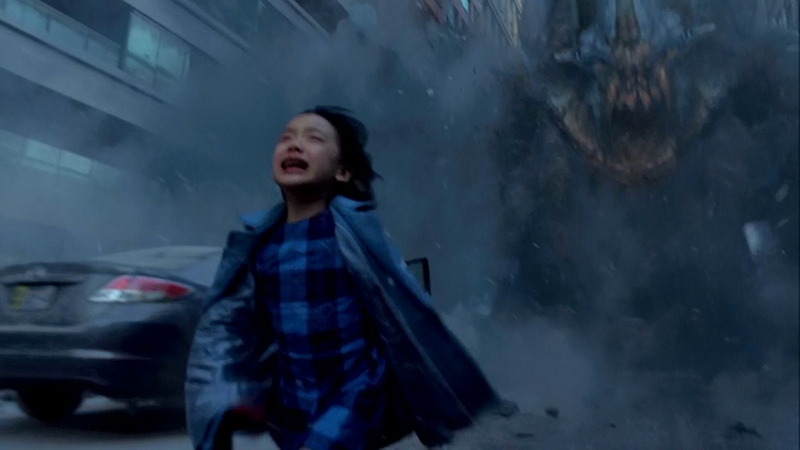 Mako remembers being small and powerless, little more than moving debris in front of the 55-meter tall kaiju. Buildings crumble, cars fly through the air, and all she can do it hide and hope the terrifying monstrosity passes her by. The scene is utterly convincing, confronting the viewer with a weeping child, and we share her fear. Cloverfield attempted to do this, but the limited information available to the characters and lack of focussed direction did not permit the audience to really experience the fear that the characters do. We also share her relief when the giant is defeated, and Striker Pentecost climbs out of the jaeger that has defeated Onibaba. It is one thing to tell the audience that Mako is in awe of Pentecost. It is another thing to hand them that experience so that we feel it, too. And not just from one side. Although the sequence concentrates on Mako, we also see her from Pentecosts' point of view, and we understand why he is protective of her. It's a beautifully handled sequence, the destruction of fear turning into the beginning of hope, and two people who bond with each other in the aftermath of blood, terror, and death. The Kaiju design is wonderful. Del Toro says he tried to make them look like animals, and yet the designs should still look like there could possibly be a man inside a suit. The creatures are diverse and strange. The Pacific Rim Kaiju list contains the names of more than eleven kaiju, and even more that do not have specific designs. Knifehead looks like a goblin shark. Leatherback is similar to a gorilla, possibly a tribute to King Kong, and has an EMP generator. Otachi has very long, spindly arms that become wings, strangely a combination of Rodan and Clover. It spits acid like Biolante. This diversity encompasses much of kaiju history without being theft, and emphasizes the strangeness of the monsters, the need to continually and pro-actively engage them rather than cowering behind the Wall. It also helps keep the sense of wonder. Kaiju are not merely enemies to be destroyed, each one is an individual, and each one has surprises. One interesting change in the kaiju design is that the 2013's Traspasser, is red inside. 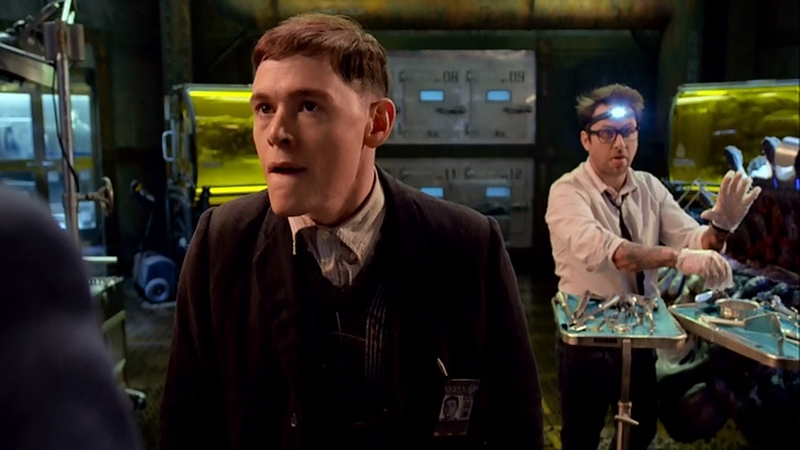 The ones we see in the film's present all glow blue. Again like Clover, the kaiju have body parasites similar to the Giant Isopod. Further, as with the Godzilla series, and Gappa, a young kaiju appears. Unlike the junior versions of Godzilla and Gappa, this is in no way cute. It's a frantic, disoriented, hungry kaiju the size of a bus. The film isn't perfect, especially when it gets to science. As much fun as the Scientific American blogs on the subject are, they do miss the quick bobbles. Many jaegers are the subject of the boast that they contain no alloys, but titanium, which Cherno Alpha is made of, is brittle unless it is alloyed. Raleigh's contention that Gypsy Danger is analog is completely laughable, since there are holograms surrounding the pilot's fists. It would take more than ten chinook helicopters to lift a jaeger. I know that lifing an oil tanker out of the water would bend it beyond usefulness, but there's a little shift in Gypsy Danger's grip as it goes to smash Otashi that is just beautiful. Again, del Toro's attention to detail and desire to create depth pay off for me. Back to Daimajin next week. Mummies, With Some Insight into My Story "In the House of Millions of Years"
It's hard to love mummies. Mummy fans have precious little to read or watch. Anne Rice's Ramses the Damned is probably the most high-profile mummy book, and it's one of Rice's least well-known books. And there really are only three well-regarded mummy films: Karloff's 1932 film for Universal, the 1959 Christopher Lee/Hammer production, and the 1999 Universal reboot. All of these films spawned franchises, but the follow-ups were poor in comparison. A lot of mummy films that are just cheap horror, with poor writing, terrible acting, and zero production value. 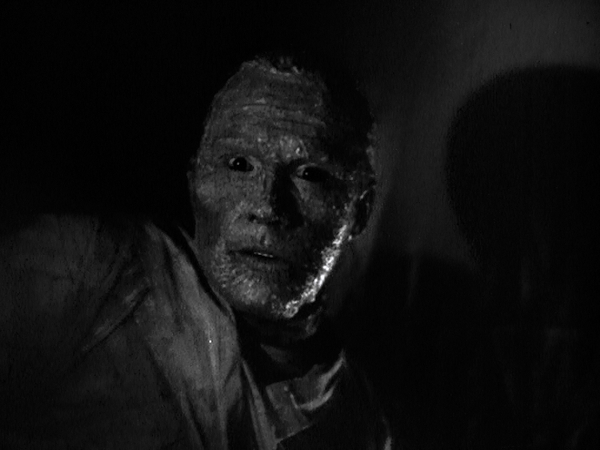 Karloff's mummy Imhotep was only bandage-wrapped for twenty minutes. After that, he transformed into the urbane, sophisticated, magically potent Ardeth Bey, who could pass for human. The follow-up mummy in the Universal series, Kharis, featured in four films between 1940 and 1944, was a stiff-limbed, bandage-wrapped strangler that Jason Voorhees could outrun. And yet, at the core of every mummy film, there's something about the preserved individual from thousands of years past that captures my interest. Unlike the vampire, it does not require sustenance. It is animated purely by magic. Unlike the zombie, the mummy is at least partially sentient. It understands the world around it. 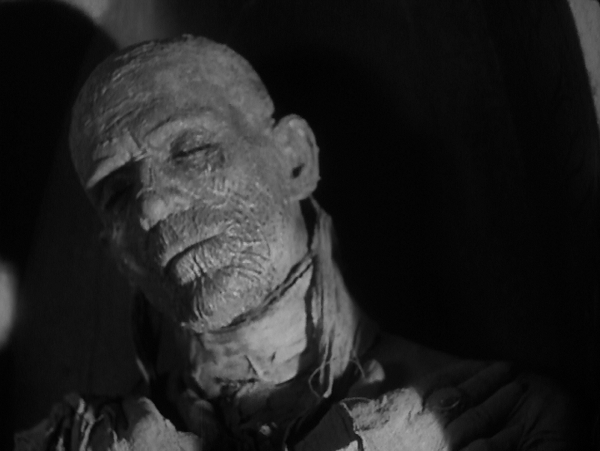 My favorite mummies are the Imhotep from the 1932 and 1999 films. A mummy with a mind, who can pass for human, and and no longer fears death because it has already died. Imagine how terrifying it would be as a mummy? How would the passage of time feel if there was no longer an endpoint? What would it be like to lack biological processes? 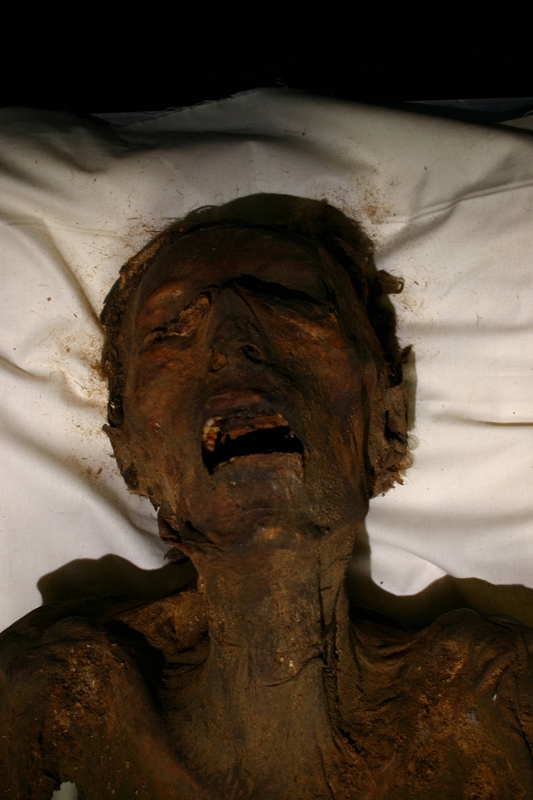 A mummy, animated by magic, no longer needs to eat or sleep, breathe or excrete. These small things mark time for us. Our stomach tells us time has passed because we're hungry. More time passes, and we get sleepy. What happens when those indicators of the passage of time no longer mean anything, when therer is nothing to break up the day? Ask any insomniac. Sleepless nights are long, without relief. So little is going on, the insomniac is left to wile away the night hours, reading if they can concentrate enough, or watching terrible late-night TV. Yes, I've been there. What must have been like, to have insomnia before television? Before recoded music? Before inexpensive lighting? Imagine sitting in the dark for long, black hours, unable to sleep while everyone else does. Time crawling by, with the knowledge that the next night, and the next, and all conceivable nights would be as unending as this one. That's the endlessly long dark that I gave to Pharaoh Intef (Horus name Seheratawy, 'Maker of Peace in the Two Lands') as the heart of “In the House of Millions of Years.” How excluded, how alienated the mummy must feel. How long could someone maintain the illusion, to themselves, to others, that they were still human? 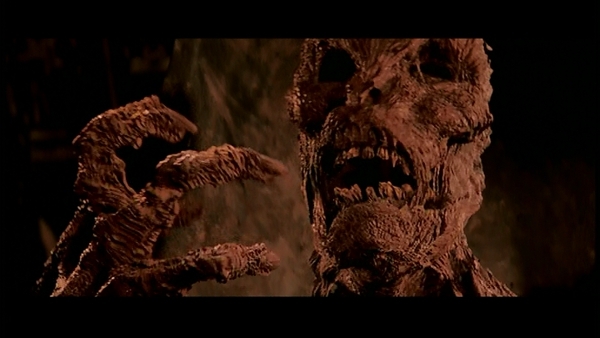 In most mummy films, one element carries over from the old life. Desire. The mummy falls in love with the woman of his past, whether she is reincarnated, or a lovely target of opportunity. This is where I departed from other mummies of film and prose. Without organs, with a dried, withered body, would it be possible to love? To feel affection? Or could that depart as quickly as the feeling of humanity? What are you if you cannot feel these emotions? This is what I explore in my story, the inhumanity of someone who no longer feels, no longer has those small moments that mark time. Someone who was human, but no longer is. 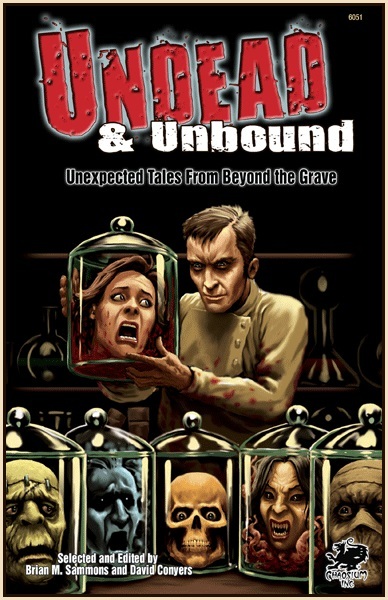 Undead and Unbound, which includes magnificent stories by Cody Goodfellow, Damien Walters Grintalis, Peter Rawlik, Glynn Owen Barrass, Willie Meikle, Mercedes M. Yardley, and many wonderful others, is available directly from Chaosium, from Amazon, and your local bookstore. I normally have seen a monster film once or twice before I start writing about it. For War of the Gargantuas, I'm coming at this cold, aside from knowing this is one of Guillermo del Toro's favorite films, which explains the introduction of Gypsy Danger saving the fishing vessel in Pacific Rim. Our start-off is a strange one. If you recall, there were two endings in Frankenstein vs Baragon. The international version ended with the Frankenstein creature fighting a gigantic octopus, and then falling into Lake Biwa. This film starts out with the giant octopus attacking a fishing boat. Once again, if you live in a world with giant monsters, your fastest ticket to an encounter with a kaiju is fishing. But then the octopus is pulled off the boat. Hurrah, the the Green Franenstein's creature is saving the boat! But once it has done so, it attacks the fishing boat. The Green Gargantua (Gaira, literally Sea-zilla) is, in no uncertain terms, bad. Like Kong, Gaira eats people. And it has terrible-looking teeth. Professor Stewart talks about the flesh that was torn off the first Frankenstein (Sanda) at Lake Biwa, which somehow made its way tot eh sea. This reminds me of Reptilicus, where the ever-regenerating claw of Reptilicus was severed, and fell to the ocean floor, waiting for a sequel. In fact, a similar possibility is brought up; if the monster is bombed, thousands of the creatures could regenerate from the scattered cells. Like the original Frankenstein films, Gaira is repelled by bright light and fire, and this is used by the military to keep it in place. Once they attack it, however, it gets angry and takes the defense line apart. Tanks are thrown into light soources, and the ultimate result of the military attack is that Gaira is free to roam. Another aspect of the Frankenstein creatures that set it apart from many other giant monsters is that they have no breath weapon or energy attack. They have no distance attack, so there is no way they can destroy planes. As a result, no planes attack them. This is also the first time we see the distinctive maser tank being deployed. We saw an early version with the sound tanks in Invasion of Astro-Monster. But these, while elevating, keep the projection surface level. In the accompanying documentary, Bringing Godzilla Down to Size, one of the special-effects men says that the lamp they used in the dish had to stay level or it would overheat. So he devised the jointed heads to keep the lamp stable, while keeping the elevating head that indicated that the weapon is ready. The result is a very distinctive heavy ray gun, one that would continue to show up throughout the Godzilla series. Electricity is again used. The use of high tension wires had fallen out of favor in the last few Godzilla films, but returned in Ebirah, Horror of the Deep. Now, it is the most effective it has ever been, incapacitating Gaira. But just when the humans think they have triumphed, Sanda (Mountain-zilla), Gaira's taller and more compassionate brother, shows up and rescues him. The scenes that follow show us the most compassionate monster have yet been. Gaira, still bloody from the military attack, grunts in pain as Sanda splashes water on him. Sanda, tellingly, has much better teeth than his clone sea-brother. He's also more hairy than he was in the previous film. Sanda's sympathy for Gaira lasts until he discovers that Gaira has been eating people. And then there is nothing left to do but beat him with a tree. And then, the War of the Gargantuas begins. Naturally, this takes place in Tokyo. Once he has calmed down, and the confrontation takes place, Sanda still tries to reason with Gaira. This gives the film a fair amount of pathos, since Sanda is essentially talking to a brick wall. Gaira's aggressive, human-eating ways overshadow Sanda's more peaceful ones. Gaira waill get them both destroyed. Akira Ifukuba's music underscores this tragedy with a slow, brassy score during the fight. Again the sea takes care of the monsters. Their fight takes them away from the masters, out into the ocean, where a new volcanic island emerges from the sea. Which is oddly similar to the Japanese ending of Franksentein vs Barugon, when an earthquake drops Sanda into the earth. I guess I don't get the huge love. War of the Gargantuas is a pretty good film, as good as or better than Frankenstein vs Barugon, but I wouldn't rate it above Rodan. There's a little extra pathos with the human expression of Sanda trying to comfort Gaira and being rebuffed by his evil nature. But it lacks the creative costume design so many other kaiju films have. I don't find it weak, but I can't say that I found it particularly compelling. But hey, not everyone loves the same stuff. 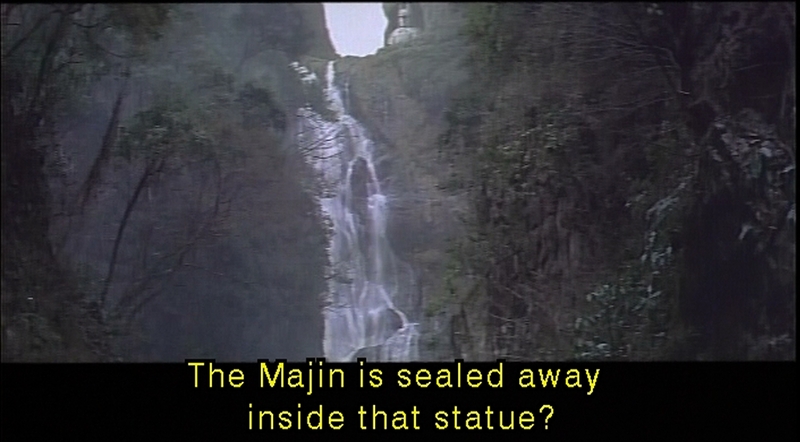 Next week, the first film of Daiei's Daimajin trilogy, in which a giant statue gets some pretty hard-core vengeance.